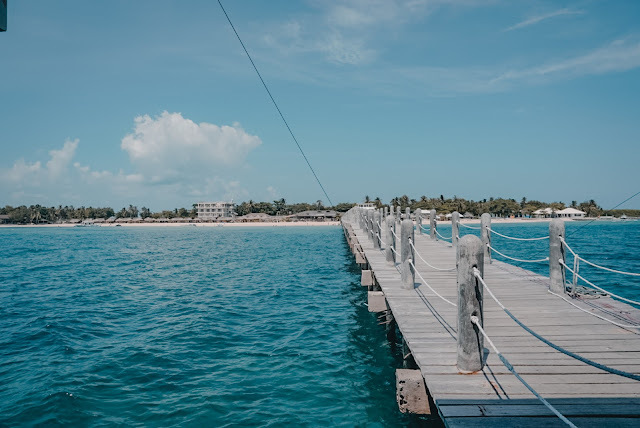 Making its way on the travelers' bucket lists, Lakawon island has effortlessly attracted everyone with its laid back ambiance, long stretch of cream sand, turquoise and clear waters and its iconic floating bar. 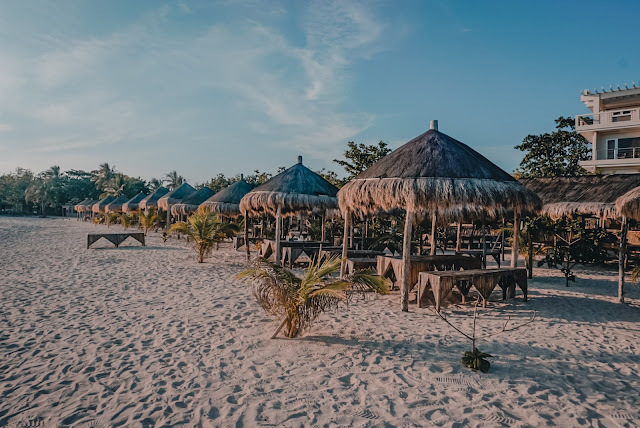 This 16-hectare luxurious island resort is situated between the south of Panay Island and the north of Negros Occidental. Its jump off, Cadiz Viejo City, is a two-hour drive from Bacolod City - just in the perfect spot to take the tourists downtown to a quick tropical escape. I personally find this one fascinating as everything about traveling to Lakawon Island is centralized and organized. Take note that they are about cashless transaction in the island (not credit and debit cards). Thus you need to acquire the Lakawon Island card from the port that you'll use for this. STEP 1: Get a call number. Wait for your turn to be called. STEP 2: When called, register on their website. You'll be assisted by their staff. You'd have to input your name and the rest whom you are with. STEP 3: Wait for your turn to be called at the cashier. STEP 4: At the cashier, you'll have to claim and reload your card including the registration fee (350php) and a certain amount that you'd like to be reloaded and used in the island. If you won't be able to spend everything, you can refund it AT THE ISLAND. They do not refund at the main land. Also, you can take home the card with you and use it the next time that you'll visit Lakawon Island. The card costs 20php. NB: You can also reload at the island. Just look for the offices near the gazebo and the restaurant. You can bring your own food from the main land but you'll have to pay for the corkage fee at Php 50.00 per head. 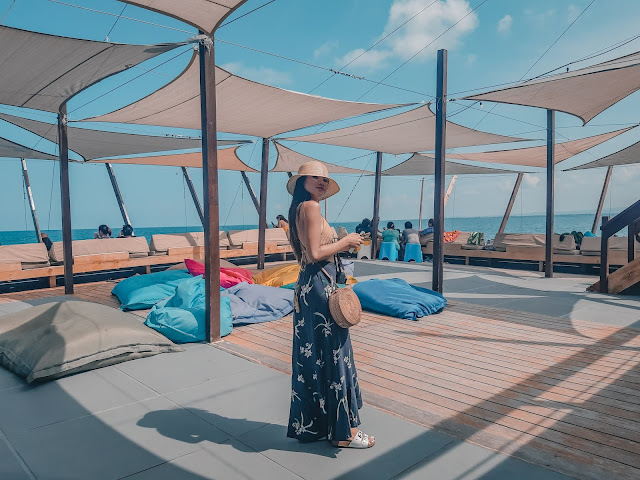 On the other hand, if you decided not to bring any, you can always eat at the restaurant or at Tawhaii Floating Bar. However, take note that Tawhaii Floating Bar only offers snacks (pica and sandwiches). Prices are somehow okay. Php 150-250 is the ideal range for budget meal per person. We ordered two bottles of soft drinks, nachos overload and clubhouse and we were charged around Php 440.00. If you'd compare it to the prices at cafes, they are somehow at the same range. 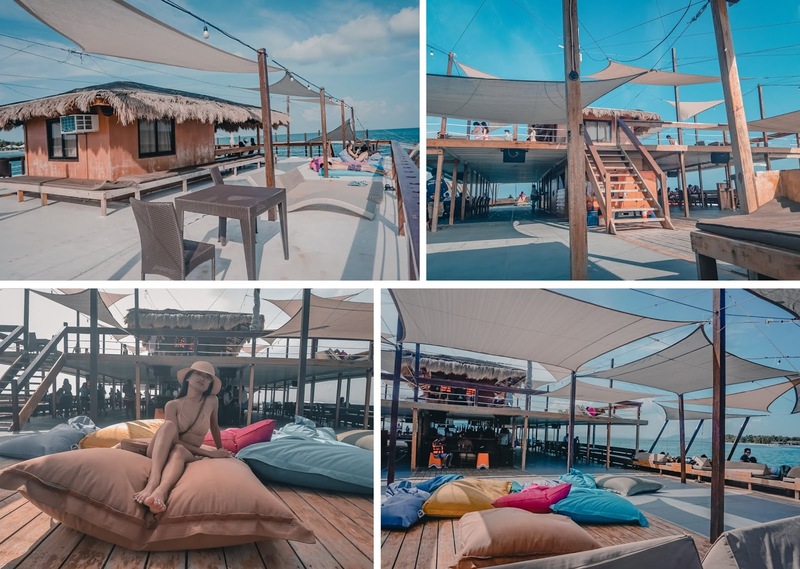 Tawhai floating bar is dubbed as largest floating bar in Asia. 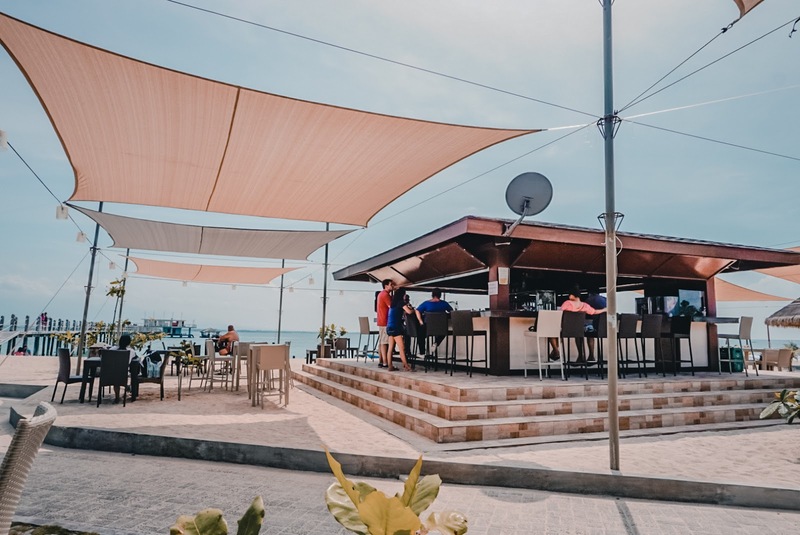 Living up to what its name promises, "relaxed", the bar can be best enjoyed by everyone who's visiting the island to experience the ocean breeze and go basking in the sun in a luxurious way. The visitors can enjoy light snacks and some booze in here. Children who are twelve years old and below can also get in only if they have an accompanying adult. Jumping from the deck to the waters is also allowed given that waivers are signed. 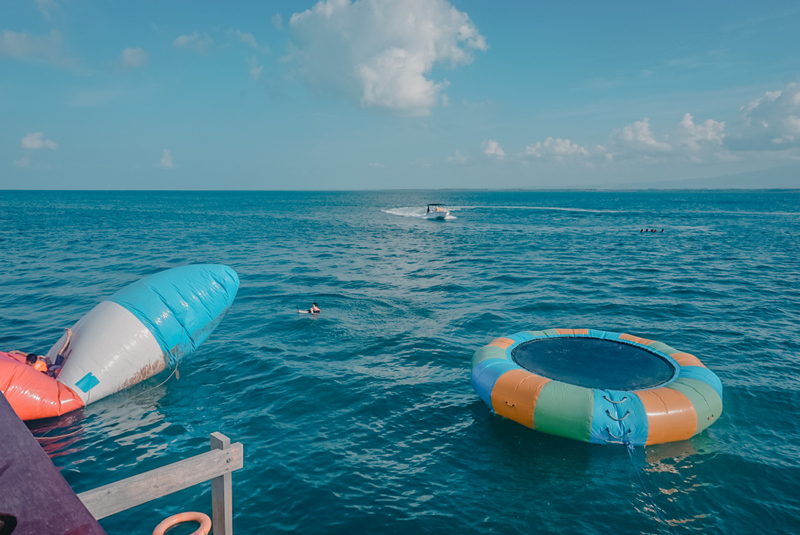 Apart from this, there are also floaters on one side where guests can also jump to, play and enjoy. From Iloilo city, take a fast craft to Bacolod City. 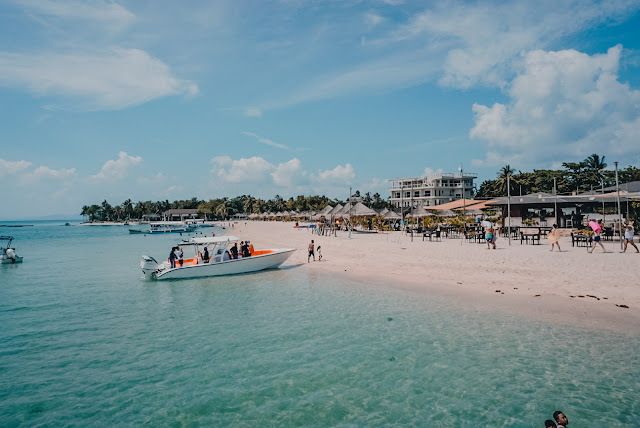 There are no direct boats nor ships, big or small, from Iloilo to Lakawon or Cadiz. Thus, you still have to take a land trip from Bacolod to Cadiz, then boat from the main land to Lakawon. Fast crafts sail on a daily basis from 6:00am to 5:00pm still in consideration of the weather condition. Cebu Pacific and Philippine Airlines have several flights to and from Bacolod every day. Hail for a cab. Head to Bacolod City's Ceres North Bus Terminal. >From the North Bus Terminal, look for buses bound for Taboso, Escalante and Cadiz Viejo (departs regularly). 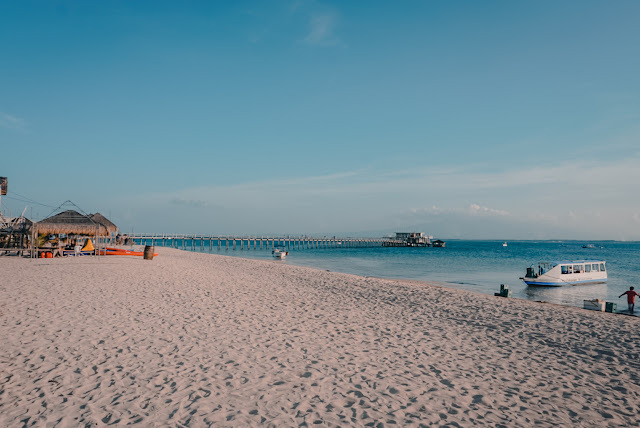 If heading to Lakawon Island, best time to leave the city is from 6:00am to 1:00pm. Tell the driver that you will go to Lakawon and they'll drop you off in a tricycle parking in Burgos Public Market. It will take you two hours to get there at Php105.00 fare. 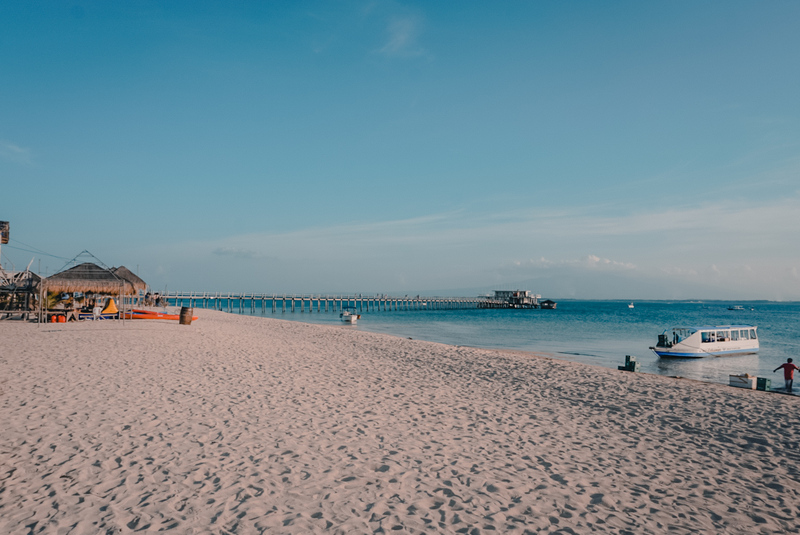 >Take a tricycle that will take you to the port going to Lakawon Island. Fare is at Php 150.00 for a ride up to 6 persons. >From the port, you still have to ride a boat for 15 minutes to the island. Take note: boat schedule starts as early as 7:00am up to 5:00pm on good weather condition. Additional charges are incurred for special trips. In going back to Bacolod, there are private vehicles hailed by other guests that will also offer to take you with them for Php 300.00. They can also send you directly to your accommodation in the city. Shall there be nothing like this upon your visit, you can just take a tricycle back to the parking where you were dropped off by the bus. *Or, you may opt to share with the other guests who hailed a private ride back to Bacolod City. For me, it's a YES. Definitely not a waste of money for the sake of experience. I personally love the ambiance and its laid back set up, from the bridge to the beach to the floating bar. Cleanliness and orderliness is well-maintained as there are trash bins around the beach and staff always roaming around checking the vicinity every now and then. Though the sand is not as bone-white as it is in the picture and not as fine as Boracay's, it still largely adds up to the tropical vibe the place gives. The shore and the turquoise waters are clean and clear. The staff are also welcoming and would accommodate the guests well.